FOOD FOR THOUGHT . . . While the restaurant has been open since August in the old Antonio’s, it just started a new lunch service in addition to dinners. 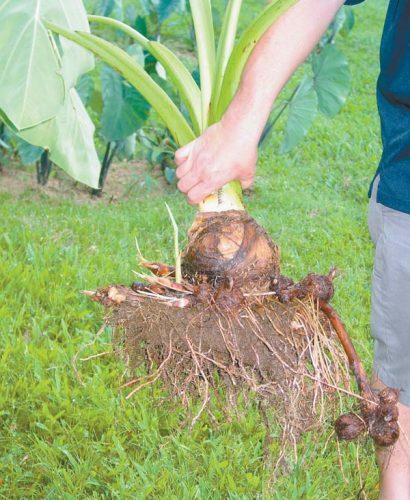 I’m talking about Tanpopo Dandelion near Long’s Drugs in Kihei. Some pasta dishes remain. And the meat-meat burger is all the rage — deep fried and topped with Bolognese sauce and served with a potato, it’s getting five-star reviews on Yelp. Tanpopo also does fish such as sashimi, carpaccio and sushi (at lunch). Call 446-3039. When award-winning slack-key guitar player, singer and recording artist Makana woos the audience in the intimate McCoy Studio Theater on Valentine’s Day, there will be a perfect pairing of food. 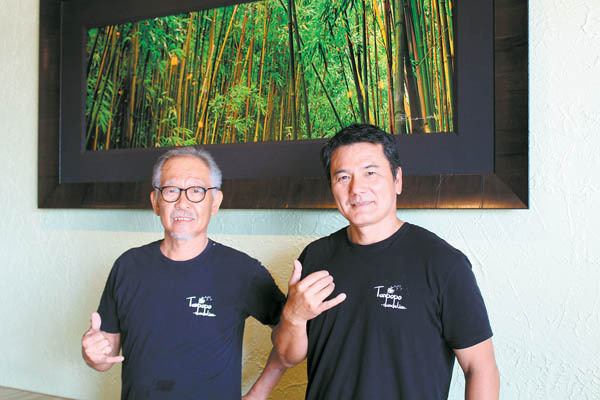 That’s because Makana is not only working on a island version of the Buddha Bar CD, but he loves to sing about hot topics such as GMOs, so Let’s Eat Healthy Fare Catering is the righteous ticket for a dinner and a show for couples that evening. 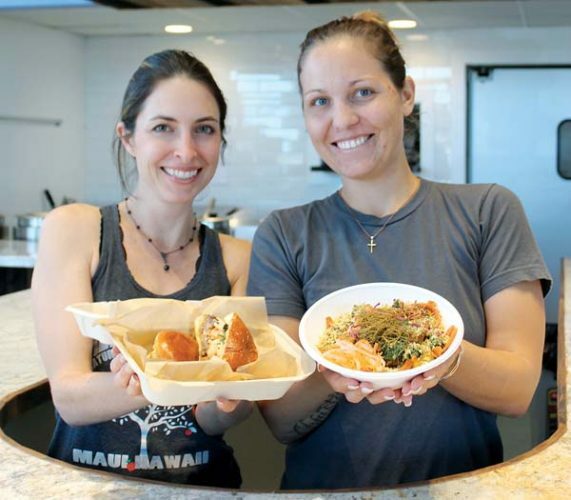 It will serve Buddha Bowls, vegetarian chili and banana lumpias — all at the Maui Arts & Cultural Center in Kahului. When comedian George Lopez jumps on stage Feb. 17 for his hilariously raunchy return at the MACC’s Castle Theater, Mexican food will be inspired from south of the wall, er, border. Pun intended as Lopez’s most recent HBO show was called “The Wall.” Maui Tacos will wow with chicken tamales and zucchini and corn salsa; tomatillo roasted pork and cheesy chile rellenos — all served with Spanish rice, green salad with avocado vinaigrette. Of course, the bar will be pumping out margaritas and such. For MACC shows, call 242-7469. 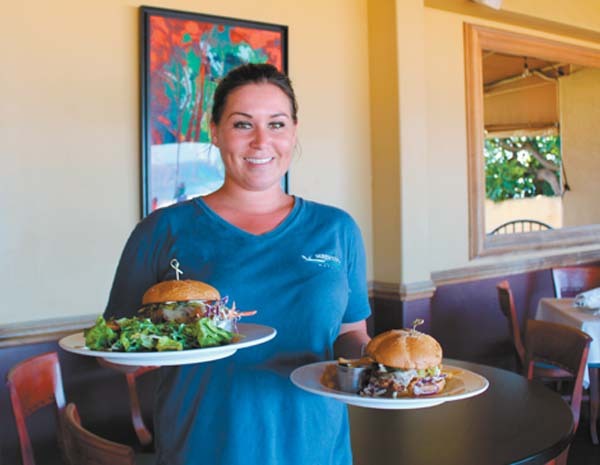 Maui is fickle when it comes to eateries. 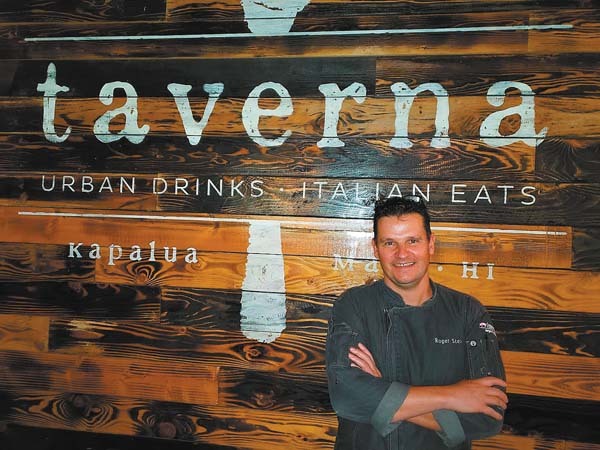 Just two years ago, Shearwater Tavern in Kihei was voted “Best New Restaurant” in The Maui News. On Friday, it “flew into the sunset,” so to speak. GM Reed Robertson and Executive Chef Carl Yeh are still onboard with the company. Others are invited to apply for open positions at any of the DK Restaurants. Gift cards will be honored at all other locations. 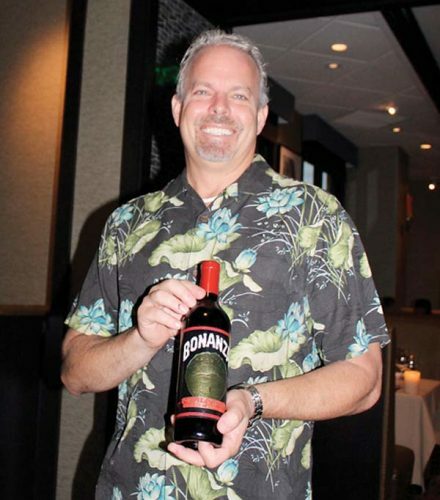 Chinese New Year keeps charging into Maui restaurants, although the official year of the Brown Earth Pig passed us on Tuesday. For instance, Ka’anapali Beach Hotel will host a brunch with star-anise braised short ribs, egg foo young, lup chong and more. Feed “li see” red envelopes with money to lion dancers for good luck. 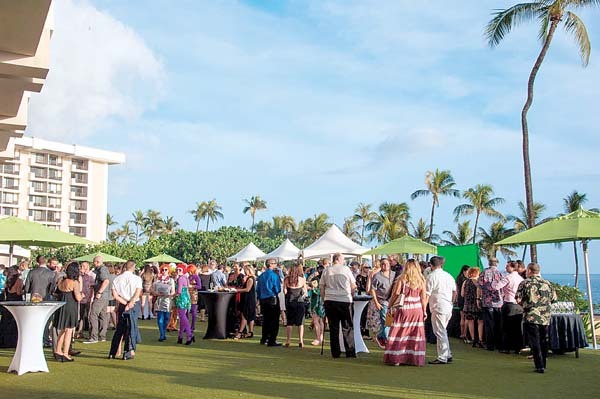 Hale Kau Kau nonprofit will present Sharing the Love, its 20th annual benefit dinner and auction, from 4:30 to 9 p.m. Saturday at the Wailea Beach Resort Marriott, Maui. For tickets, call 875-8754.